Accelerators (such as NVIDIA GPUs) and coprocessors (such as Intel MIC/Xeon Phi) are fueling the growth of next-generation ultra-scale systems that have high compute density and high performance per watt. However, these many-core architectures cause systems to be heterogeneous by introducing multiple levels of parallelism and varying computation/communication costs at each level. Application developers also use a hierarchy of programming models to extract maximum performance from these heterogeneous systems. 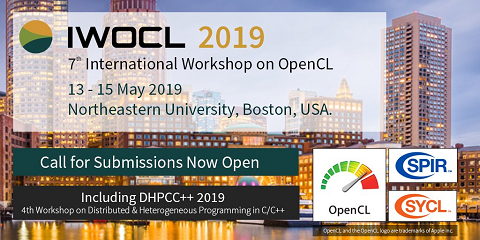 Models such as CUDA, OpenCL, LEO, and others are used to express parallelism across accelerator or coprocessor cores, while higher level programming models such as MPI or OpenSHMEM are used to express parallelism across a cluster. The presence of multiple programming models, their runtimes and the varying communication performance at different levels of the system hierarchy has hindered applications from achieving peak performance on these systems. Modern interconnects such as InfiniBand, enable asynchronous communication progress through RDMA, freeing up the cores to do useful computation. MPI and PGAS models offer one-sided communication primitives that extract maximum performance, minimize process synchronization overheads and enable better computation and communication overlap using the high performance networks. However, there is limited literature available to guide scientists in taking advantage of these one-sided communication semantics on high-end applications, more so on heterogeneous clusters.